MS®PTFE membrane for all fluoropolymer filtration,are made from strong chemical compatibility of fluoride. 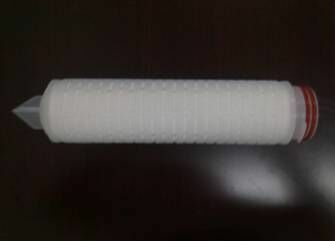 therefor, it can meet all kinds of critical filtration requirement in the most aggressive environments .Our PTFE membrane has great corrosion resistance and durability in highly corrosive acids, bases and organic environment. Ideally suited for corrosive chemicals and gases filtration in the semiconductor industry. Wide range of pore sizes, air flows, water and oil repellency, and particulate removal efficiency.